According to a source speaking with Fuji Rumors, the Fujifilm X100T's successor will have a new lens. The present lineup of X100 cameras feature the same fixed 23mm (35mm equivalent) F2 lens, and if past announcement intervals are any indication, the X100 series may indeed see a new addition before too long. 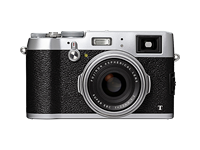 The Fujifilm X100S debuted at CES 2013, and the Fujifilm X100T was announced in September 2014. In addition to a potential new lens, Fuji Rumors' source claims the X100T's successor will feature the same sensor to be used in the X-Pro2, which recent rumors claim will be unveiled later this year. Do you want the X100T's successor to feature a new lens? And if so, which one? Let us know in the comments. My view is that f/2 is fine, but I would like 1800+ LPPH at the edges (Imatest). The X100T lens, using the 16 MP sensor, resolves less than 1300 LPPH at the edges. Not ideal. Although it increases to >2000 above f/4. Also, unless they have significantly improved the sensor, I wonder if low-light performance of the 24 MP sensor will be worse than that of the 16 MP sensor. It will be very interesting to see the reviews. 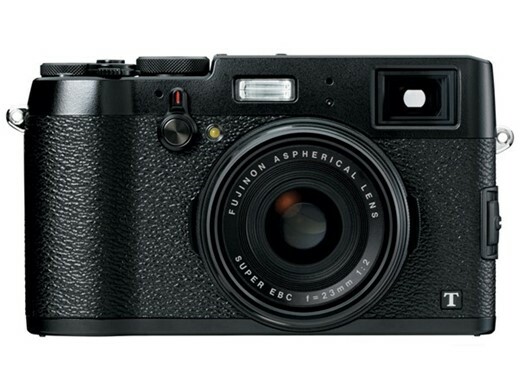 At worst, the price of the X100T should come down, if any are available by the time the new model's reviews come out. Maybe the thing to do is buy an X100T now and sell it if the new model is significantly better. Yes, the X100 definitively needs an lens upgrade. The 23mm f/2 is soft wide open and it's slow focussing. The next iteration of the X100 will be the camera it should have been when Fujifilm released it. A 24 megapixel sensor and a new sharper lens. It's okay if it's slightly larger. Image quality is most important, especially on the new 24mp sensor. 23mm f1.8 if is not possible f1.4, 24mpx, more af points and burst rate 10fps. that's all folks ! The present 23/2 lacks in outside field resolution to the 23/1.4 but if the price is size, I won't even look at it. For me, the 100T is almost perfect as it is. Don't need more pixels as I seldom print larger than 17x11. A much needed improvement that just came to my attention would be the ability to force the menus to the rear screen when using the viewfinder, currently unavailable. Just release whatever you have but don't if no focus ring with auto zoom to verify focus and higher MP. Keep focal length. increase aperture.. If you like enlarge the sensor but keep focal length to 35mm and size compact. Do not increase megapixel but improve low light quality. I would love to have an infinity focus stop like the old 35mm lenses. I could set a f/stop with a good depth of field and rack the focus to infinity and manually shoot away at most normal shooting distances without a focus worry. f/2 is super for this camera and should stay like this IMHO. If there is optimization in quality and they decrease the aperture to keep size of the lens down, i would live with it even up to f/2.8, no problem. 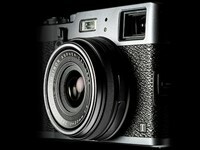 Forget it, we want the 24MP sensor and that's what Fujifilm will use in the next X100. The lens needs an upgrade to. It's soft at f/2 and it never gets as sharp as the XF 27mm f/2.8. I wish they will give these feature while keeping the same focal length.. I have a (too bulky) Xpro1 and would immediately switch and buy 2 cameras : X100T 23mm to be in left pocket and X100(F?) 55mm to be in right pocket. This duo would be overall easier to carry, quick to operate and avoid burden of changing lenses. I agree, much much much faster autofocus please. The autofocus will be fine, because it's perfectly fine on the Pro2 too. The new X100 will get the same sensor and processor. I'm more worried about that soft 23mm lens. Just get those megapixels up! Use the JCC dome hood. Flare gone! Of course a fast lens is hoped, the minimum requirement should be f/2.8 (with same dpf of Full Frame). Better if it will be f/1.8 (or 2.0). A 24-70 would be great as long as the optical viewfinder adjusts to the focal length as did the old Contax. That Tokina lens takes a 77mm filter, it would be huge on a Fuji X100 body. "Remember the size of the Tokina 11-16 f/2.8 which is for dx. "My" lens shall be smaller - since it is not intended for DSLR, and the focal range is easier. Shall be perfect for me." It should be more compact than a smallest DSLR, because of the reasons that I mention, I do not think anyone can argue against them: smaller, easier zoom range; closer to the sensor. 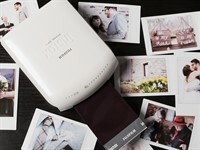 The one thing that keeps me from buying the X100 so far is that it is not dust sealed. It's a fixed lens, how hard can it be? I think my main wish would be some sort of proper manual focus, maybe with a clutch like mechanism. IS and/or an aperture increase would also be nice. How about better Sensor on low light ? now the war will be better sensor. Don't worry, the next X100 will get the new 24MP sensor and processor found in the PRO2. Leave it alone! There is an endless supply of cameras with zoom lenses, IS, faster AF and great video. This is the perfect street camera. By all means improve the sensor if you must, but don't change the basic form & concept. Spot on. The basic form and concept is as close to perfect as it gets. "but don't change the basic form & concept.". No, Fuji will not "change the basic form & concept" as Fuji's grandfather has not change for 70 years yet. I want a very small camera (much smaller than X100) with a 21mm fixed lens, a viewfinder and a B&W sensor of around APS-C size (m43 is fine if it's 3:2 ratio). Get rid of the auto-focus (it's slow anyhow) and instead use the space savings to make the 35mm (equivalent) lens closer to a 1.4 or even 1.8 BUT with a proper mechanical manual focus ring. uh, i like the idea very much! away with the autofocus! DPR is publishing a rumour so... they already have the new Fuji on hand right? a 50mm f/1.4 without OVF would be an XE2 or XA2 with the F35 f/1.4 lens. the X100 line is something completely different, although it's the same manufacturer. Full frame is tiny, medium format is where its at. right, it makes sense. like the SUVs in automotive. it's the natural evolution. making it bigger in the end. "UUGH, BIIIIIIIIG! caveman need bigger!" The main things Fuji should be fixing are AF speed, sensor size/res, and video capabilities. Fuji should improve the optics, if it's possible to do it without making the camera any larger. Hopefully they can also bring their AF up to par with the best micro 4/3. If anything the Fuji optics is the one thing that does least of all need to be updated. aaaah, having less options was what drove me towards X100! Agree, 27mm is perfect, 23mm is too wide. Besides, that lens focusses slow and it's too soft wide open. Step 1. Take out the lens from X100T, and sell it as XF 23mm f/2. Step 2. Take XF 23mm f/1.4, slap it to X100T, and sell it as X150. The 23mm 1.4 is a big lens. You'd be sacrificing one of the best parts of the X100 series, the size. Full-Frame sensor with 34 f/1.4 lens with fast silent focus, on-sensor steady shot. 36 megapixel. Also, 1080 60p and 4K video. you really like numbers, don't you? I'd like to see it 20-30% smaller body. A fixed focal length AND a fixed lens but with petal like lens protection, ditch the lens cap. Maybe 50mm and 24mm versions (equiv). I found the x100 to be almost ideal, both the lens and the Bayer sensor are just fine. The x100t is ergonomically better, but please add image stabilisation and faster/better autofocus. To keep cost down drop the video capabilities. All in all the x100 did more for my photographic enjoyment than 35 years of various Nikons. I am very grateful to Fuji for this. yes - new lens please. 35mm (as before) but f1.4 please. and ultra sharp wide open - of course. I want to have the focus ring in Leica Q style ! and please: less is more. For the love of God: no is, no zoom and most importantly no articulated touchscreen or other useless gadgets. Maybe three new fujis with. 24-35-90 lenses. F2.0 for size. Better batteries - maybe not capacity improvement, but a longer warning before they run completely out would bee welcome. The idea of a fixed lens camera is anachronistic these days, but still has lots of validity. My teacher at college wanted up to just shoot with the standard lens, and even though those college days are 40 odd years ago I still mainly use the standard-type lens. For some years I liked the idea of 24mm lenses, but in fact got bored with all the 'things' in shot, and all small too! This is on 35mm film cameras. I use the Sigma 30mm on my Nex to get somewhere near the standard viewpoint. Even though I am a crappy picture-taker, his advice, which seemed old-fashioned even at the time, in fact obliged you to think more carefully about how to frame an image and one day I will take a picture that captures all I am looking for...stick to the standard FoV Fuji. The FoV on this camera is miserable. I would gladly trade off just a tiny bit more extrusion on the lens to get to 24mm full-frame equivalent. Took the x100s on a vacation and spent 98% of the time shooting with the iPhone instead. Great looking camera, lots of compliments, etc. But as far as versatility goes it's not that great. Maybe I'm asking for too much. For the price, I'd definitely go with Leica D'Lux fixed lens shooter next time. The main reason I sold my X100 and X100s later was that the focus was not sharp and slow. I want a sharp focusing lens for that much money. I sent them to fuji to have them correct the focus, but it was the same... Sharper focusing lens please!!! I'm really considering selling mine too. It's to bad because image quality is AMAZING! But because I am chasing my daughter around with my camera, the lack of quality video is extremely frustrating. It is obnoxious to have to trade cameras jsut to take video. 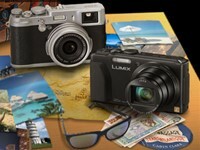 Im considering the LX100. Really? X100T produces 33MB RAW? WOW, I didn't know that. That's very odd.